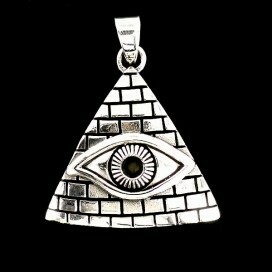 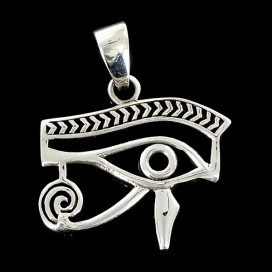 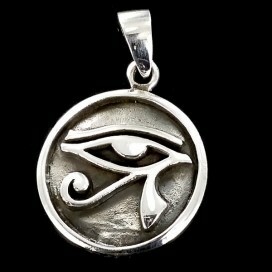 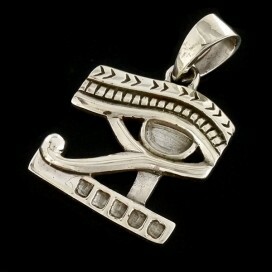 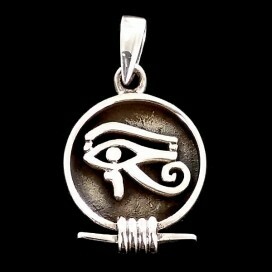 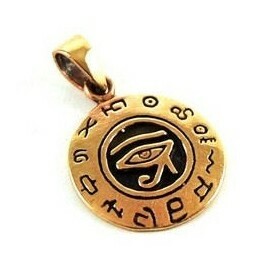 Udjat, Eye of Horus. 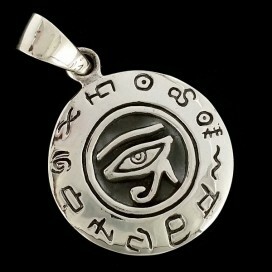 Protection from evil influences. 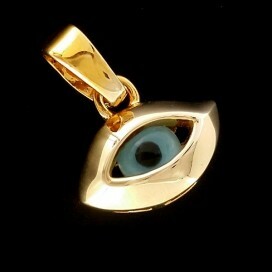 To get an accurate view of strangers and superiors and to obtain a fair trial. 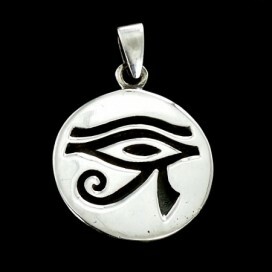 It symbolises predictions and infinite knowledge, and the constant presence of the gods. 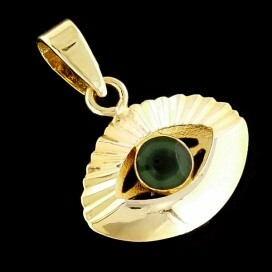 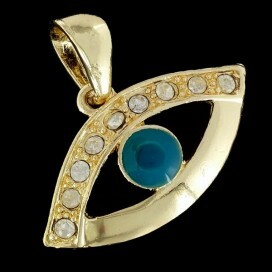 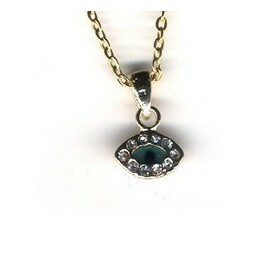 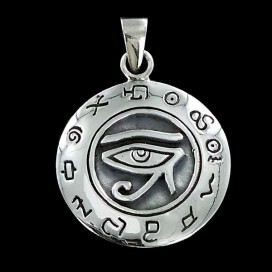 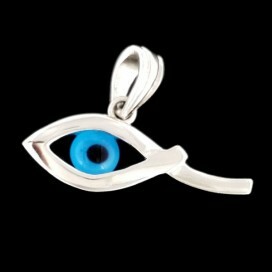 It protects against the evil eye of the gods, superiors or anyone else that could harm us.